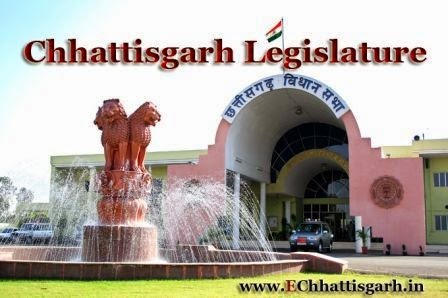 The Chhattisgarh Vidhan Sabha or the Chhattisgarh Legislative Assembly is the unicameral state legislature of Chhattisgarh state in central India. The seat of the Vidhan Sabha is at Raipur, the capital of the state. 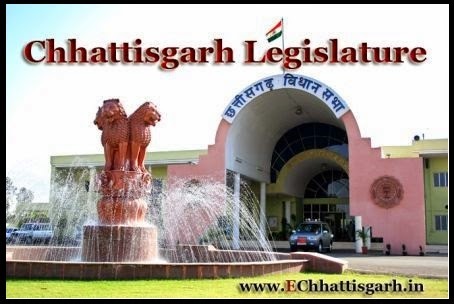 The Vidhan Sabha comprises 91 Members of Legislative Assembly, which include 90 members directly elected from single-seat constituencies and one nominated from the Anglo-Indian community. Its term is 5 years, unless sooner dissolved. The primary duty of Legislators Assembly is to make bills, which will becomes laws only when they get the approval of either the Governor or the President of India. Assembly has the power to frame bills on the subject related to the state which are included in the 7th schedule of the Constitution of India.